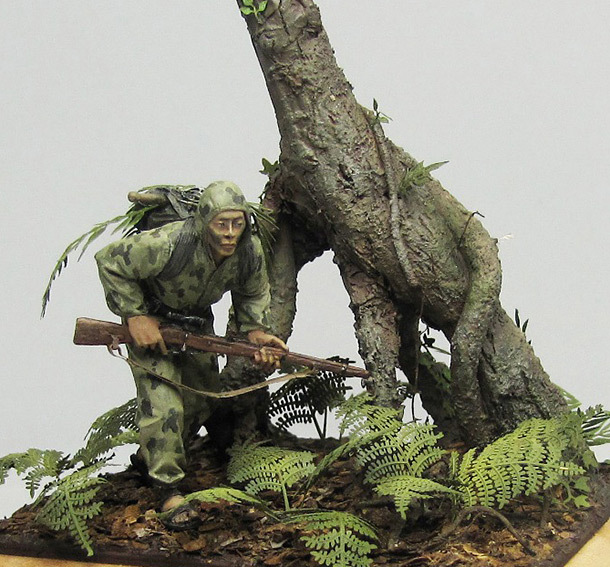 Figure by Bravo6 on the self-made base. Fern leaves by Eduard and verdure by MIG Ammo were used. Tamiya and Vallejo paints.